Words are truly at a loss for me. I'll apologize ahead of time for the lack of blog posts... but thing's really picked up in pace after the fall break! I've been traveling as much as I can, and in the time that isn't spent traveling or absorbing the last bit of Florence is spent doing my homework and studying. So here we are, the final week... I'm not so sure how I feel about it. A month ago I was pretty excited to get home and see my family, see my friends, and drive my car, but with less than 3 days left, my feelings are quite mixed. Yesterday I took had my last Art History class and final exam, which went quite well. Though it should have, considering I studied most of Sunday for it. Other than exams, I'm trying to get every last bit out of Florence that I can. With such little time left, I still want to do so much, but I have to prioritize. Lots of shopping is on the list (for those of you who know me, you probably thought that would've never come out of my mouth), as well as spend time with my new friends I've made here. Though, I'm sure I will be seeing some of them again. 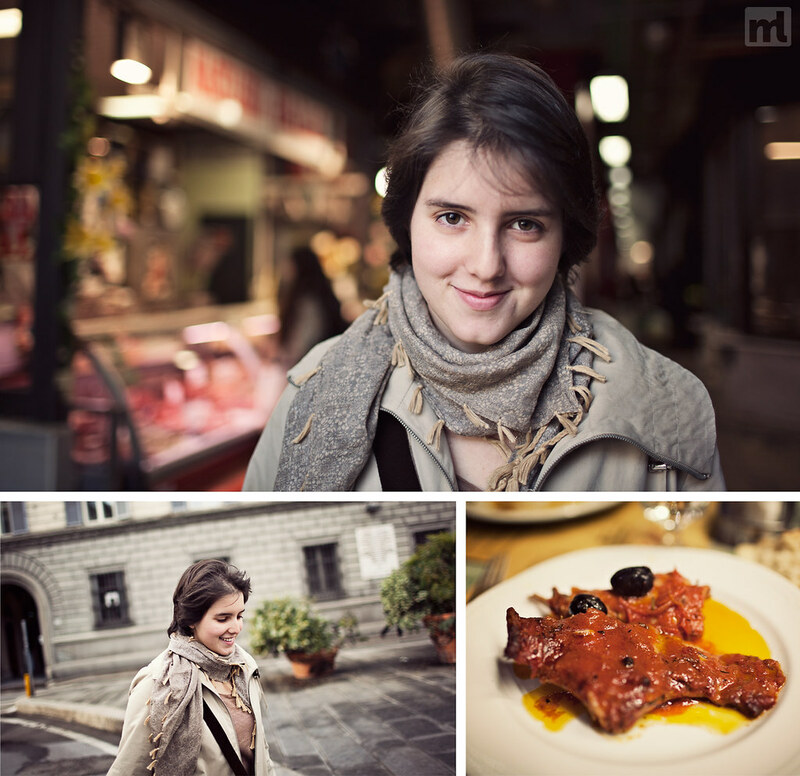 Last Tuesday, after we handed in our final portfolio for our writing class, I took my friend Cristina to one of my favorite restaurants in Florence, Trattoria Mario. It's a nice, quaint restaurant full of local cuisines and not full of tourists. Not to mention, the prices aren't half bad! Afterwards, we headed over to the indoor food market and browsed around there for a bit. I wish I could have taken a photo of Cristina's face when she stumbled upon the Peruvian stand inside the market (for those of you who do not know, Cristina is from Peru). Priceless! The photos above were taken during our little adventure, and at the bottom right, you're looking at a plate of rabbit with tomato sauce and olives. Delicious! 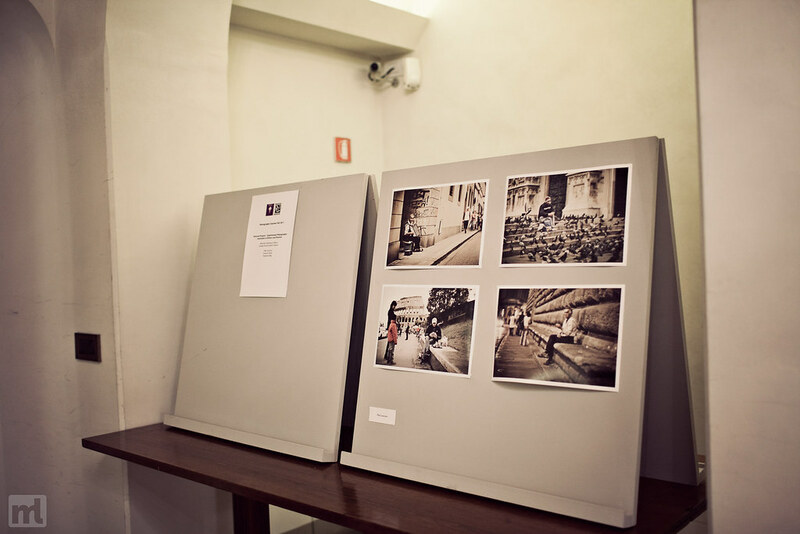 Also, as some of you probably remember, I talked about finding the "voice" of Firenze and I've had a flow of photos relating to my search for different people throughout Italy. Well, last Monday was the art exhibit! I had to choose only four photos, which wasn't very easy, but everyone seemed to love the photos! Here's a shot of the exhibit. Moving onto a completely different subject, the next thing that comes to mind is my most recent, and unfortunately, last trip while studying abroad: Pompeii. My friend Alethea and I decided to go visit Pompeii on Friday. It was my first trip to the southern part of Italy, so I was pretty shocked with just how different it really was. It was almost like taking a trip into the past. We got off of the high speed train in Naples to switch to the local train... which looked and felt like it was right out of the 70's. But it was definitely a nice change of pace. The people in the south act different, look different, and even speak differently. Not that I was necessarily surprised, but it just felt odd after getting so used to Florence. Eventually we made it to Pompeii, but the town Pompeii, not the ancient ruins. I felt like such a tourist having to ask where the ruins were. You'd be surprised; they aren't right in the open. Regardless, it was fascinating to walk through what was once the second most prosperous ancient city in Italy about 2000 years ago! Walking down a street built in approximately 20AD was also quite surreal. For my last trip, I'm glad that I got to visit Pompeii. Not a half bad note to end traveling on! Sorry for the lack of photos from Pompeii... I'm still behind on my editing. Lots of catching up to do! A bit of an unorganized blog post, I'm aware, but at the speed time has been passing here, it's hard to accurately account for all of it! 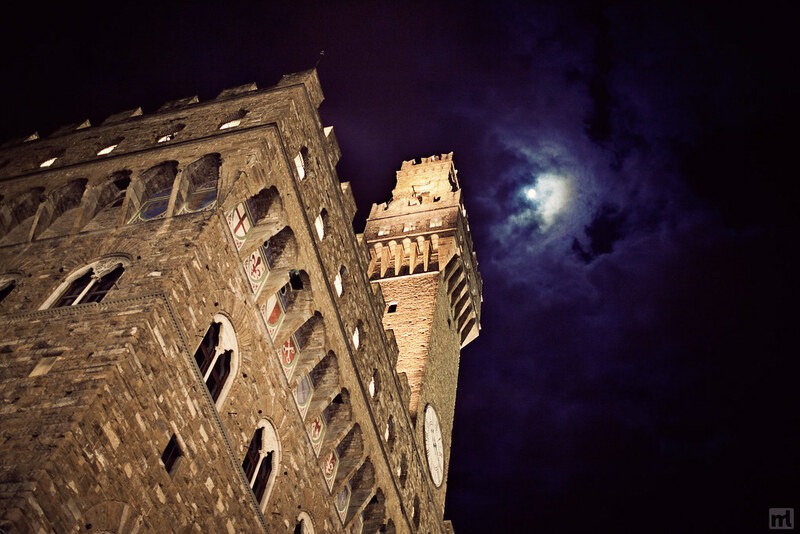 To finish off the blog, here's one of my most recent shots of the Palazzo Vecchio in Florence. One of my favorite shots here in town! As always, there are a ton of pictures which haven't made their way into my blog posts that you can find over at my flickr and if you have a facebook, make sure to like my facebook page and share it with all of your family and friends! I'll probably be making one more blog post, but most likely from home... I have an exam Thursday at 6pm then my flight is Friday at 10:15am, not so sure I'll have time for a final blog post. Either way, thank you to everyone for following my blog through this journey of a semester! I really hope you've enjoyed reading about my adventures and encounters. I know without you guys, my blog wouldn't have become what it is today!